Hokey Smokes, Bullwinkle - it's the last day of December already! How, may I ask, did THAT happen? Whoever said that as you get older the years fly by wasn't just whistling Dixie as time seems to be moving at a rather alarming rate. Least ways, it is for me. What was the best thing to happen to you in 2008? You can list more than one if you'd like! There are so many great things from 2008 that I could list but my answer to this question - believe it or not - was my 50th birthday which I celebrated on September 9th. Even though I still have a little bit of trouble remembering that I am a half-century old and can't quite fathom how I got here so quickly, 50 was not a hard age for me to turn in spite of all the aches and pains that come with the number. Erik from The Fire Insider - a former co-worker and still favorite Scotsman of mine! My favorite Boston blogger, Ms. Maggie Moo, came down for the occasion and brought yummy cupcakes, too! Claire's arm was in attendance, too, as was the rest of her but she's very camera-shy and, cheeky Brit that she is, she refused to take a picture with me on my birthday! Now how, may I ask you, could that little get-together not be my favorite memory of the year and one of the best things to happen to me in 2008? Turning 50 isn't bad when you've got friends like that to share it with! So, what about you folks, share with me your best memory/happening of 2008 - I bet some of them and I can guess (right, Star?) but others might be a total surprise! Why is that if I take one single Tylenol PM tablet I can't seem to get out of my own way the next day? I thought the stuff was supposed to help you wake up refreshed, not feeling like you just stumbled out of an opium den. Not that I'd know what stumbling out of an opium den was like, mind you! I took Jamie to see Twilight at the movies last night and liked it a little bit better the second time around as I tried not to view it with such a critical eye as when I went the first time. I still thought that Jasper looked like Edward Scissorhand's cousin or something and that Bella needed to have a stick surgically removed from her nether regions but other than that, it was okay and in certain scenes Edward looked quite hot for an ice cold undead guy! I was quite surprised by the number of women my age at the theater who didn't seem to have a teenage girl along with them and also with the amount of guys that were there. The first time I saw the movie, I think there was maybe one guy in the theater and no doubt he had been dragged there kicking and screaming! My son got me a digital picture frame for Christmas that I'm really looking forward to using once I figure it out. It's got an 11-inch viewing area so even my old eyes should be able to see it quite well from across the room plus it takes MP3 music downloads. How cool is that? All of the snow that we got a week and a half ago has melted because of the unseasonably warm temperatures we were having but it looks like more is on its way and right on time for me to have to try to drive to work in it on Wednesday morning. Figures! I know that winter hasn't even officially been here for ten days yet but I am ready to bid it a fond farewell. There are days when I feel like I am never going to be warm again and can fully understand why so many people flock to Florida, a state I've never been all that enchanted with (an apology to all those who live there and love it). 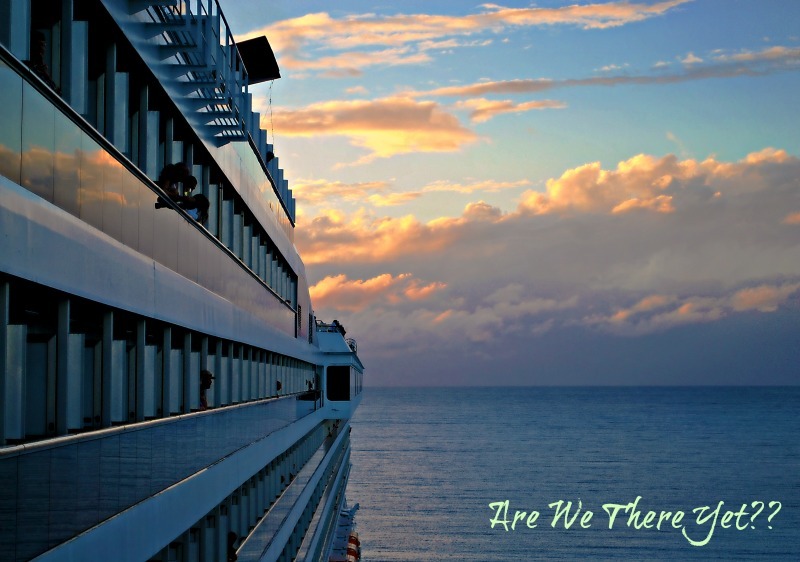 Just for hee-yuks I looked at the Norwegian Cruise Line website the other day and saw the perfect cruise for next Christmas-time. It leaves out of New York City on the 26th of December, visits warm locales for 5 days, and then returns to New York on the 2nd of January. Unfortunately the price itself isn't perfect on a single-parent income but should I win that elusive Powerball sometime between now and then I can tell you exactly where I'll be next New Year's Eve! At least it doesn't cost anything to dream, right? Jamie and I are going to do some after-Christmas shopping today with my mom. Even though I'm not keen on shopping my mom likes to go and supposedly there are bargains to be had out there. Plus Jamie still has a little Christmas cash burning a hole in her pocket! May your day be filled with random good stuff! Oh my gosh ... 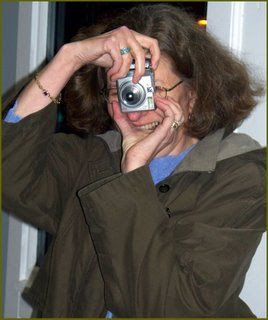 I can't believe that I almost missed posting about the birthday of a member of Connecticut's Blogging Royalty! My bad ... my very, very bad! Today is the birthday of not only Princess Patricia of Ansonia in the Valley (so dubbed by Mimi, Queen of Memes with a little extra thrown in there by myself for good measure!) but also her daughter, the beautiful Lady Allegra! Two royal birthdays for the price of one which means double cake for everyone! And that should make Empress Bee of the High Sea happy! 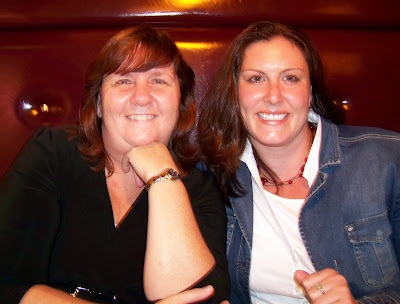 I first had the extreme pleasure of meeting Patti last March when we humble bloggers here in Connecticut were invited to dine with then visiting royalty from North Carolina. Queen Mimi, Princess Patti, and myself descended upon Bertucci's Brick Oven Pizzeria in Glastonbury and I doubt that the place will ever be the same again! We had quite A Royal Time of It as you can read in my post of the event. There was much giggling, hiding behind shubbery, and shenanigans during the course of the evening and if given the chance, I would love to do it again. 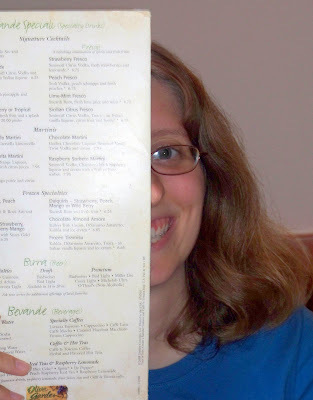 Though I'm pretty sure they wouldn't let us back into Bertucci's in spite of the fact that "it's okay, we're bloggers!" I had another chance to meet up with Princess Patti again in August w hen she and her entourage traveled from Ansonia in the Valley to Waterford by the uh ... Water! This time Princess Patti was accompanied by her beloved Prince Ralph, another member of Connecticut's Blogging Royalty, and their lovely daughter, the beautiful Lady A, as we met at a local Olive Garden. Hmm, what is it with us and Italian restaurants?!? Again a fine time was had by all while Dining With Royalty though we had to break out the "it's okay, we're bloggers!" excuse once again! Gee, I wonder if that had anything to do with them putting us in the corner? Nah ... couldn't be! Hopefully Princess Patti, Prince Ralph, and myself (the Duchess of Norwich Upon the Thames!) shall have the chance to get together again soon as I have thoroughly enjoyed becoming friends with Patti and Ralph both. They don't live too far away from me but with my crazy schedule and theirs ... well ... life seems to keep getting in the way somehow! We'll have to do something to amend that soon and then perhaps we can share some real birthday cake (belated or not it's still cake!). In the meantime, I guess this virtual one will have to do! Happy Birthday to Patti and Allegra! May you both have many more years of health, happiness, and hi-jinks! The word of the week at the Manic Monday Meme is 'tradition' but rather than write about an old tradition, I thought I would make mention of a new one that Jen and I recently started at work on those long 16-hour shifts we spend in the dispatch center every Sunday. Some of you might remember that back in October I journeyed down to New York City to attend a live taping of Who Wants to Be a Millionaire? and, because it was Movie Week, I came home with a free three-month subscription to NetFlix which has turned out to be a pretty darned cool thing to have as it has become invaluable on those long Sunday shifts. Jen and I now have what we call "Chick Flick Sundays" and in between 911 calls, routine transfers, and the other aspects of the job, we watch three movies to help pass the time. So far we've watched both Pride and Prejudice (the BBC version) and Sense and Sensibility, Made of Honor, Enchanted, Hair Spray, The Importance of Being Earnest, P.S. I Love You, Shakespeare in Love, The English Patient, What a Girl Wants, Love Actually, The DaVinci Code, and a whole bunch of other movies that I can't recall right off the top of my head. I know for sure that we've watched every Colin Firth movie that we could get our hands on because - yeah, we're shallow - we both adore Colin Firth! It's turned out that this new tradition is a great way to pass the time on Sundays and we've decided that when my current free subscription to NetFlix runs out, we're going to split the cost to continue it. 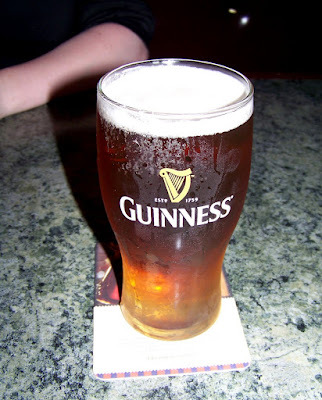 After all, why stop a good thing?!? Oh, speaking of good things ... or in this case not so good things ... we watched Mamma Mia! this past Sunday and I've just got to wonder who on earth ever told Pierce Brosnan that he could sing? Oh my aching ears! The movie was a lot of fun, though, and it was darned hard not to sing along but I didn't want to ruin the movie for Jen as singing is not my forte! Though that didn't stop her when we were watching The Sound of Music later in the shift! One last thing when it comes to our new "Chick Flick Sunday" tradition - no men are allowed in dispatch unless they are dropping something off or making a copy of something - some traditions are just more sacred than others if you know what I mean! I snitched lifted copied borrowed the title of this post from my favorite Tarheel Rambler, Lee, who has been doing Sunday Scenery posts for quite some time now and has some of the most gorgeous pictures one could ever hope to see. I hope he doesn't mind but after giving some thought to what would work well for me on Sundays with my 16-hour shift and not wanting to be tied to the computer all day on Saturday, a Sunday photo post just seemed like the best way to go. Besides, it gives me a good excuse to take more pictures! The pictures for this post come courtesy of a quick stop by Misquamicut State Beach in Westerly, Rhode Island that Jamie and I made before I dropped her off to spend the night at her brother's house on Saturday. It was pretty overcast and gray but I wanted to take a peek at the ocean while I was over that way and of course I had taken my camera with me just in case there was the opportunity for a picture or two. Apparently there was! Hope you enjoyed this Sunday's trip to the beach - I'll have to see if I can find some interesting scenery to share with you for next Sunday! I'm pretty sure none of the pictures will have anything to do with auto insurance but you never know! I thought maybe I'd take some time out to post my entry for this week's Creative Photography Meme hosted by Roger of Idaho Daily Photo. Almost makes me want to go out and walk the tracks to see where they lead - or better yet hop aboard a train and see where it takes me à la hobo style! If you'd like to see more great Creative Photography Meme entries, make tracks over to the Creative Photography Blog and check out the links! I doubt that it would surprise anyone if I were to say that this Christmas season was not one of the best for me and that I am more than happy to see it over and done with. I don't know why but I just couldn't seem to get into the Christmas spirit at all this year but a simple act of kindness has given me resolve to do better next year (provided the good Lord allows me to still be around for next Christmas). Shortly after I had gone into work on Wednesday morning, Christmas Eve Day, our receptionist called upstairs to tell me that there was a plate of Christmas cookies at her desk that had been dropped off for me on Monday and she suggested that perhaps I'd like to head downstairs and get them before there weren't any left. Either the temptation of having a plate of cookies next to her for two days was too much for her or Amy thought it might be a good idea to taste-test a few of them for she'd sampled a couple and let me know which ones were the best! There were plenty, though, and as I carried the plate back up to Dispatch with me and read the attached tag I was really touched by the gift of the cookies as they were from the family of one of the EMTs that I used to work with at American. 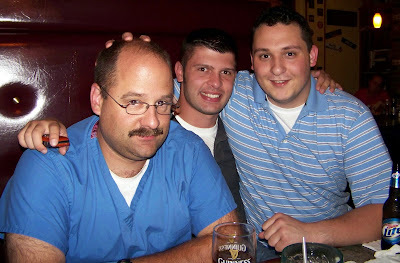 Joe Battista came to American Ambulance in 2005 and was one of the nicest kids I had ever met. He always had a smile for everyone and radiated a positive attitude about life and work that was actually quite infectious. I honestly don't remember ever seeing Joe without a huge smile on his face and he never complained about any calls that were given to him while he quite often volunteered to hold over or come in early to help out when we needed it. In other words, he was a dispatcher's dream and I adored him! In May, Joe took some time off and flew down to Florida to visit a friend of his from Connecticut who had moved to the St. Petersburg area with her mom and stepfather. Apparently Joe had a spare plane ticket from an earlier airline mix-up and he decided to use it to visit Cory and enjoy some Florida sunshine. Shortly after he arrived in Florida, Joe and Cory took to the waters of the Boca Ciega Bay on a 2-person Sea-Doo personal watercraft which they launched from Cory's house and into the bay. Within moments the day that had held so much promise for fun and sun turned tragic when the Sea-Doo was struck by a 29-foot powerboat manned by an operator that was boating under the influence. Both Joe, 23, and Cory, 19, died in the accident. I was working dispatch on Sunday, May 22nd, when we received word at American that Joe had been killed in a terrible watercraft accident and I can still remember not believing it as I had just spoken to him on the previous Friday. 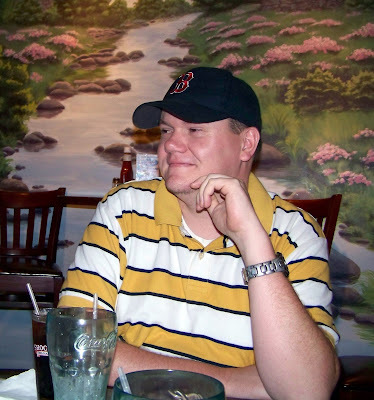 He was so excited about the trip and about coming back to become a paramedic as he had recently finished his schooling and needed to simply take the certification tests to get his license. I was sure that he'd make a great paramedic as it was easy to see that it was a career that he was excited about and that he really had a great desire to help other people. I later found out that he had listed his "likes" in his 2000 high school year book as "skiing, leaving school for fires, saving your life," as well as listing his emergency medical technician certificate as one of his most prized possessions. Shortly after the news of Joe death was confirmed, I sat down and wrote a letter to his family telling them what a wonderful son they had and how he had made my own job that much easier by loving his own job as much as he did. I felt like it was the least I could do and that his parents would appreciate knowing what a fantastic son they had raised. His funeral was one of the saddest I have ever been to but even through the sadness it was easy to see how loved Joe was not only by his own family and friends but by the community that he lived in. In addition to working at American, Joe was a volunteer firefighter for the town of Clinton as well as volunteering with the Westbrook Ambulance Service. For someone so young, he had accomplished a lot and had touched many, many lives - mine included. Even though it's been several years since Joe left us, he has not been forgotten and every year American holds a softball tournament to raise money for the Joseph M. Battista Memorial Scholarship Fund which is awarded each year to a graduating senior of The Morgan School (Clinton's high school) who plans to pursue a career as a paramedic or in the medical field and has community or voluntary service. The scholarship is a great way for Joe's memory to live on not only in his community but also with those of us at American who had the pleasure of knowing a phenomenal young man whose life was cut way too short. Since that fateful day in May, Joe's parents, John and Sherry, have remembered us at American Ambulance every Christmas with platters of cookies and with treats at other times of the year, too, but this is the first year that I received a plate of cookies of my own. I'm not sure why I was given my very own plate this year but I was touched, I was honored, and I was humbled as I looked at that gift of delicious Christmas cookies and remembered the young man whose parents had given it to me. Maybe - somehow - this was Joe's way of reaching down from heaven and reminding me of what the Christmas season is all about as well as reminding me of all the good things in life that are so easily lost sight of. I held more than a plate of cookies in my hands - I held a plate of good cheer and thoughtfulness and proof that love lives on in spite of all. Since receiving those cookies I've thought a lot about Joe and about how quickly life can change in the blink of an eye; I've thought about how easy it is to lose touch with the important things in life; and I've seen Joe's smile in my mind a thousand times over reminding me that life is what you make it - good or bad. Thank you, John and Sherry, and thank you, Joe - your simple act of kindness meant more than you will ever know; I really do feel that I have been touched by a very special angel. Didn't want to miss participating in CrAzY Working Mom's new Friday sky meme just because it's the day after Christmas! These pictures were taken this past November once again from the window in dispatch as night crept in over Norwich. I'm too tired at the moment to write much of anything but I thought I would share a few of my favorite Christmas photos from the annual family get-together at my aunt's house earlier this evening. That curly blonde-haired angel in the middle is my grandson, Mathew Kendall, who seemed to have a pretty good time even though he was the youngest by 12 years of anyone else there! I hope that everyone had themselves a happy holiday and that, like me, you're so tired you can barely keep your eyes open but it's because of good times, good food, and a good day. Now good night and I'll try to catch up tomorrow! 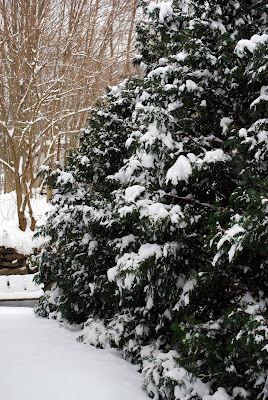 Merry Christmas to all of my friends in the Blogosphere - both new and old! May your hearts and homes be filled with the magic that is Christmas while you spend many moments making magnificent memories! With only two more days until Christmas I'm pretty sure that a lot of people are still running around performing last minute preparations while only a few sit back and think "yeah, I got that covered, it's a'ight, I'm good!" I'm not in that latter group just in case you're wondering but at this point I refuse to stress about it and shall just go with the flow of the season. Unfortunately the flow of the season for me includes working my typical 16-hour shift this Wednesday, which is obviously Christmas Eve, followed by an 8-hour respite in between shifts before heading back in Christmas morning at 7:00 a.m. for another 8-hours of fun and games in dispatch. Normally I would be going in for 3:00 Thursday afternoon but I switched with my supervisor as he wanted to spend the morning with his three young children and my family typically does their annual get-together on Christmas night. Seemed like a fair enough trade as he gets to spend time with his family and I get to spend time with mine (even though I'll probably be pretty tired!). What time do you typically have your Christmas celebration? Christmas Eve, Christmas Day, Christmas Night or perhaps a combination of all three? No matter when you have your celebration - I sure hope it's a happy one and that the best gift you get is a head full of happy memories then you'll never want to return! While her sister and I are sitting home in the frigid northeast and watching the temperatures dip into the negative numbers, Amanda is enjoying the above which she sent via text picture. Gee, I don't see a single speck of snow in that picture, do you? She flew out of Philadelphia very early this morning with Darci's family and landed in Puerto Rico sometime before noon. Lord knows if she's out walking the sandy beaches now or what but I can tell you that the view here in Connecticut is much, much different! After a very dismal weekend, the sun came out this morning but didn't really get the chance to warm things up too much and we had temperature readings in the teens on the thermometer - though the windchill factor was much, much lower. Nothing really melted at all but the roads were finally starting to clear and driving wasn't anywhere near the ordeal that it has been since Friday. Good thing, too, as I had decided that one of Jamie's Christmas presents was going to be a trip to get her eyes examined so that she could then pick out a couple pair of glasses from ZenniOptical.com (a great online site for really cheap but good glasses! This isn't a paid post, I honestly got Amanda's last two pair of glasses from there and paid less than $40 for both pair!). 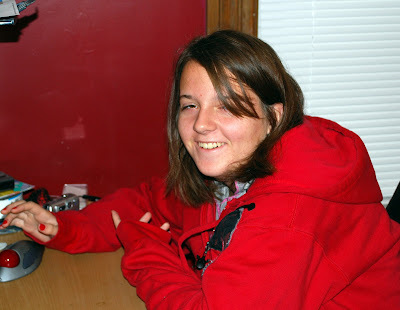 Jamie hadn't had her eyes checked since 7th grade due to the fact that her Dad has no insurance for her and couldn't afford to take her to an eye doctor. I figured she was way past due for a new pair of specs so scheduled an appointment at Cohen's at the local mall as I had found a coupon for half-off of the exam - woohoo! I had obviously forgotten that there would probably be a ton of people at the mall what with it being just days before Christmas and the weather keeping most sensible people home over the weekend but in spite of the traffic and crowds, we managed to get a decent parking space and got to Jamie's appointment with plenty of time to spare. It didn't take long for the exam to reveal that her vision had changed as suspected and soon we walked out with the new prescription in hand. 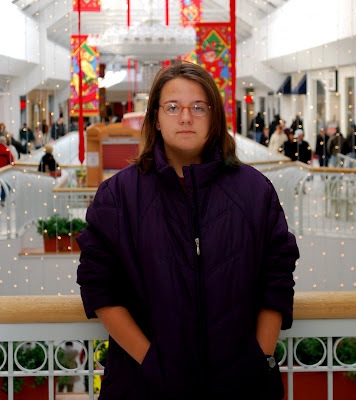 As anyone who reads my blog regularly knows, I am not a great fan of shopping and/or the mall but teenage girls love 'em so Jamie was quite happy to find herself in one with hordes of holiday shoppers. I acquiesced to looking through a few of the stores after her eye exam even though I really just wanted to cut and run from the place! Still, there was at least one present I wanted to see about getting so we popped into the Hot Topic store, a place that both girls love and that gives my cousin Amy a headache! 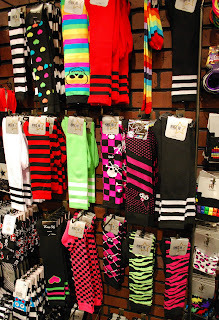 I was looking for a pair of socks to go with the other part of the Christmas gift I had gotten for Amanda's friend Cate and what better place to look than at Hot Topic - store of multicolored socks galore! As I tried to decide on which pair I wanted to get for Cate, Jamie proclaimed that she really needed a pair of striped socks herself and chose the third pair over from the left at the top of the picture. Amanda already owns the fifth pair over and she didn't want to have the same socks as her sister. They are cool socks but the cost for a pair of socks has gotten to be ridiculous! After you hand over the arm and leg that they cost, you're really only going to need one sock and not a pair if you're going to be the one wearing them! ... ah come on, kiddo, smile a bit! ... we left the mall and the traffic behind and made a few other quick stops before arriving back home to throw some ice melting stuff on the front steps and pick out a couple pair of glasses on the computer. Hopefully they'll arrive before Jamie heads back to Florida on the 5th. What I'd like to do now is take a nap but alas, I guess I need to wrap what few Christmas presents I have as I don't think that Santa's elves are going to sneak in and do them for me. Darn! Ah well ... where did I put those bows?? Morgen chose the word "tree" for this week's Manic Monday Meme and rather than post a picture of my little fiber optic Christmas tree in all of its two-foot glory again, I thought this might be the perfect chance to use a picture that I took this past September while out doing some cemetery touring in the dark. What looks like a small white dot in the middle of the picture was actually the moon - believe it or not! This picture was shot with my older camera, the Kodak Z712, in the area of Yantic Falls, a place I've posted about several times in the past and will probably post about again in the future! To see more trees, be sure to check out the Manic Monday Meme - I'm sure there will be at least one or two Christmas trees in the mix! No Comments on Comments this Sunday as I was just too lazy to spend that much time writing the post on Saturday. Well, that and I was busy playing Rock Band with Jamie and that seemed like more fun! I'm sure you understand! You've heard of the Burning Bush, right? This is it's cousin -the Frozen Bush! Ah well, time to head over to work and hope that what little bit of a voice I've managed to recover is sufficient for talking on the radio. Well, either that or there won't be much that I have to say on the radio! We're supposed to get another storm today so I'm hoping it keeps people inside and healthy though chest pains and difficulty breathing don't seem to care what time of day it is or what the weather may be. Here's hoping you have a healthy Sunday whether you're inside or out! Today's post is brought to you from the comfort of my couch with a heating pad set to 'low' hopefully soothing the various and assorted aches and pains that I incurred while trying to get the car shoveled out this morning so that I could get Amanda down to the train station in New London so that she could start on her Christmas journey to Puerto Rico. As most people know, we here in New England and other parts of the Northeast got slammed with a pretty good snowstorm yesterday - Winter Storm Austin they named it as apparently storms all need names these days or they get jealous of the hurricanes or some such other reason. 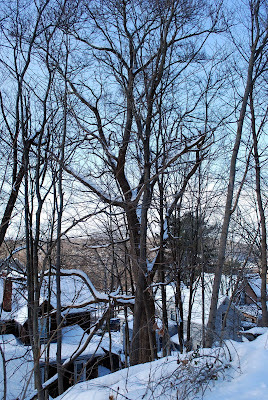 Anyhow, Austin managed to dump about 9 to 10 inches of snow on us here in the Norwich region and even though the snow was of the light & fluffy variety, it still needed to be shoveled out of the way - a task that was supposed to fall to the teenagers in the house. You'll notice that said "was supposed to" ... yeah ... the one teenager who was supposed to be really concerned about being able to get the car out was spending most of her time whining about the fact that she "always has to shovel and why can't Jamie do it?" Well, gee, Amanda you always have to do it because you live here ... perhaps you'd like to move down to Florida with your father and then you wouldn't have to ever shovel snow again!! Besides, the only reason I was even attempting to get the car out at this point was so that I could haul her to the train station. Do you think that occurred to her, though? Do you think she had finished her packing yesterday when I squeaked at her twenty times to do it? I've had no voice for the past couple of days so squeaking is the best I can do but I'm pretty sure it was an audible squeak that she chose to ignore. So, at any rate, to try to make a long rant short ... I put on my back brace, grabbed the shovel, and did my best to clear snow without throwing my back out after I told Amanda to finish her @*%#ing packing and then print out her Amtrak reservation so that we could just go to the kiosk in the station and get it that way rather than get it from the clerk. I figured it would save some time just in case we were running late - which we were. Finally I got her into the car with her luggage and we started down the first hill at my house but before we got to the bottom she said "I forgot my cell phone!". Good grief ... I backed up the hill (a miracle unto itself as the road is in really bad condition) and she went back in to to get her phone. In the meantime, Jamie had layered on some clothes and found a pair of boots and was working on shoveling out the parking area in front of the house, etc. so that when I got back home there would be someplace for me to put the car other than in a snowdrift. Getting to the train station on time was beginning to look like even more of an impossibility as I got in a line of traffic behind some yutz in a red Neon who was crawling along at about 20 mph. There were about eight cars between myself and the leader of the parade and no place to even think about passing so there was nothing for it but to crawl along behind everyone else and curse under my breath with every passing moment. As the parade behind me grew longer and longer, the minutes continued to tick by on the clock closer and closer to the time of the train's departure. I should point out that at this point in time, my mood had reached subterraneanly low levels and I was not the best person to be around. Meanwhile, in the train station, Amanda had not printed out the barcode for her reservation like I told her to and had to stand in line and wait for the world's s-l-o-w-e-s-t clerk to wait on the two people in front of her in order to get her ticket. That bad mood that I was in got worse ... much worse. As Amanda stood there waiting and waiting and waiting the train that she was supposed to be on pulled into the station, loaded up its passengers, and pulled back out of the station without her on it because she was still standing in the $#&^ing line!! Of course, all I can think is that had she printed out the barcode like I told her to, she would have had her ticket and be on the train but oh no ... she couldn't do that, could she?!? At long last, the world's slowest ticket clerk finally finished up with the guy in front of Amanda who simply wanted to go on a later train to New Haven and she gave him her train reservation number that she WROTE ON HER HAND!!! The next train out was only about 45 minutes later but because she missed her first train there was a price change and I had to shell out an extra $30 for the ticket. My temper at that point had reached the boiling-over point and I was ready to scream - except for the fact that I had no voice and could only squeak out how angry I was at Amanda. I'm pretty sure I haven't squeaked out that many expletives in a very long time. Once she got her ticket, I left Amanda sitting in the lobby at the train station with instructions to get herself on the train when it came as I knew that if I stayed I would have done nothing but squeak at her and that wasn't going to help anything. It was best to remove myself from the situation and head home, provided I could get the car out of the snowbank I had pulled it into. I know that leaving her there on her own wasn't very motherly of me but I really thought it was best as I honestly cannot remember being that angry in a very long time. Angry at Amanda ... angry at the condition of the roads ... angry at random drivers who have no clue how to drive in snow and should stay off the roads ... angry at the ridiculously slow Amtrak clerk ... just angry in general. As I started to drive out of New London it dawned on me that I had forgotten to give Amanda any money for food or drink on the train so even though I was mad at her, I turned around and went back to the train station where I called her on her cell phone and had her come out and get some money before I headed home again wondering whether I was going to be able to get back up the hills at my house or not. Oh, and just to add insult to injury, the jets for the windshield washer fluid in the car decided to act up and I could barely see through my filthy windshield on the way home! But of course! Anyhow, after downing a cup of coffee and some toast, I am feeling marginally better. I sent Amanda a text apologizing for being so angry and she actually sent back that it was okay and she deserved it (wow!). I hope she has a great time in Puerto Rico while Jamie and I deal with some lousy New England weather and I'm sure that by the time she comes home in two weeks, I will have forgotten about today. At least that's the plan! Whew! I hope that everyone else is having a better Saturday than I am! Well, okay, so that's not the way the quote goes but that's the way that today went what with all of that cold white stuff coming down from the sky and coating the roads. Tonight was the party that I mentioned earlier this week - the one that we have around Christmastime so that those of us who work in the stress-filled environment of dispatch can kick back and relax a little ... that one. Yeah, well, it's going on without me while I get to sit here and try not to feel too sorry for myself and failing miserably if I have to be honest. I don't exactly live in the best place when it comes to snow-covered roads - the top of two hills can be tricky - but even if I could have gotten down off "the mountain" as my Dad used to call it, I'm not a big fan of driving in snow either. When the Governor and the State Police Spokesman say to stay off the roads, I'm one of those people who stays off the roads if I possibly can because I figure they know what they're talking about and there are enough other arrogant drivers out there who think they know better that don't stay home and end up keeping the state and local police busy as well as those great men and women whom I dispatch for a living. 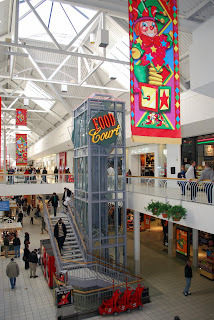 As a matter of fact, while I was watching the news tonight one of the reporters was talking about one of the bigger malls up near Hartford staying open late tonight so that last-minute shoppers could get those much-needed gifts. This story came right after the one where they spoke to Governor Rell on the phone and she appealed to everyone to stay home and off the roads! Nothing for nothing but as far as I'm concerned if getting that much-needed gift could possibly result in an accident where I bang up my car at best or hurt myself or someone else at worst then it can be a late last-minute gift. I mean, come on people - it's December 19th - there is still plenty of time to go out and buy gifts if you feel so inspired. Add on the fact that the retailers who are opting to not only stay open but stay open late are risking injury to their employees and it just makes me think that people are morons sometimes. It's more important to make a buck then let someone be safely at home while the roads turn into potential minefields. Again, nothing for nothing, folks, but a cashier at WalMart is not supposed to be considered essential personnel. I'd like to think that title is reserved for police officers, firefighters, and emergency medical personnel as well as those of us who have foolishly signed up to answer the 911 lines that send those brave souls out into inclement weather to render aid. 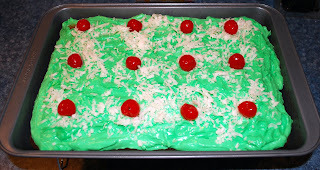 Oh, and I figured that if I couldn't get to the party, I'd at least make a cake for the girls and I that we could have here at home ... festive, ain't it? My pictures for this week's post were taken this past Sunday from the windows of the dispatch center where I work. Sometimes there are advantages to working on the third floor! 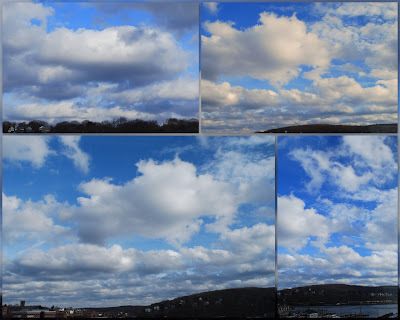 I'm afraid the clouds over Norwich today are going to look nothing like these, though, as we're in for our first "significant" storm of the season with forecasters predicting anywhere from 3 to 12 inches of the white fluffy stuff falling from the skies. 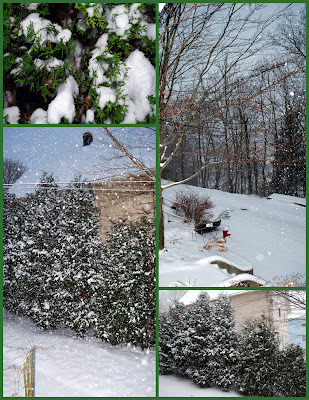 Looks like we might be having a White Christmas here in New England if they're right. 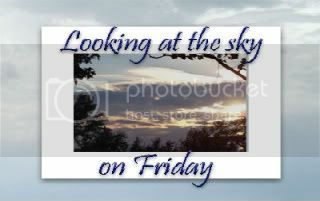 Looking Up at the Sky on Friday is a new weekly meme developed by my friend Tisha at CrAzY Working Mom and all are welcome to join in! After my Grimbleschnitz (to borrow Mo's word) post of yesterday, I thought I might do something a little different today and take a peek and see what happened on this date in history. Imagine my surprise, then, to see that the most major significant event - as far as I was concerned - was that on December 18th, 1966 the popular Dr. Seuss' book How the Grinch Stole Christmas was made into an animated television special and shown for the first time on CBS. If I'm doing my math correctly, I was eight years old when this now Christmas classic first came out and my family would have been in the process of moving from Davis-Monthan Air Force Base in Tucson, Arizona back to a new home in Connecticut so that my Mom could be close to relatives while my Dad was being shipped off to Danang, Vietnam for a year of hell. Chances are I missed the very first showing of the Grinch but I remember watching it time and time again growing up and it was one of the shows, along with Rudolph the Red-Nosed Reindeer and A Charlie Brown Christmas, that truly signaled the start of the holiday season. Those three were the Holy Grail of Christmas TV Shows and it just wasn't Christmas without them. He HADN'T stopped Christmas from coming! IT CAME! 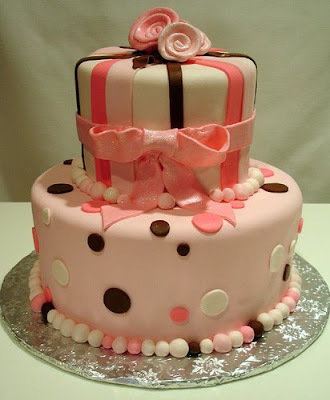 "It came without ribbons! It came without tags!" Thank you, Dr. Suess and Chuck Jones, for this timeless classic story of the true magic of Christmas. Maybe - in the end - being a Grinch really isn't a bad thing at all because in the end he finds out what Christmas is really all about ... and wouldn't it be nice if we could all find that again? It seems like every year it gets harder and harder to get past that 'eh' as I have grown to dislike the entire commercial aspect of the holidays. This isn't to say that I'm ready to sign up for Scrooges Anonymous or Grinches-R-Us but I have been finding my Christmas spirit being chipped away just a little bit more with each passing year. If you had told me a few years ago that I would no longer be putting up a full-size tree and decking the halls with festive trappings, I would have said you were crazy. If you had told me that the simple act of writing out Christmas cards would be an arduous ordeal that I would rather avoid, I would surely have shouted 'nay'! If you had even hinted that I would not bake a single Christmas cookie the entire season, I would have laughed in your face. But, alas, had you told me all those things you would have been right. The first year that I worked at American Ambulance I came in on my day off and decorated the entire dispatch center from top-to-bottom. I strung lights, hung stockings, and placed a tree in the window. It looked very festive, or so I thought. The next year when I did it, people complained that the tree was in their way, that the stockings weren't right, and that it made them feel "claustrophobic". I vowed that I wouldn't decorate at work for Christmas anymore after that and I haven't. What's the point if people are only going to complain? The decline in decorating at home came sometime after that when I came to the conclusion that it was more trouble than it was worth. "More trouble than it was worth ..." I never ever thought I would say that about Christmas but there it is though I'm not sure where it came from. Maybe it comes from not having anyone special to share Christmas with; maybe it comes from the retailers screaming "buy! buy! buy! "; maybe it comes from the expectations that I can't afford to fulfill; or maybe it just comes from overall disappointment in what used to be "the most wonderful time of the year". I'm afraid that my beloved grandfather, who loved all things Christmas, would be disappointed in me but then again, maybe he would be disappointed in the ways that Christmas has changed, too. I don't know if it's because I'm feeling run down and tired lately or if it's because my finances can never stand up to the Ghost of Christmas presents or that I'm just old and crotchety or that Christmas just isn't what it used to be but it's just become 'eh' for me. And to be perfectly honest with you guys, that 'eh' makes me very sad but I just don't seem to have the energy for more than that right now. 'Tis the season ... for parties! This Friday, instead of spending time sitting behind a dispatch console and handling the 911 medical crises of the City of Norwich, I'll be wandering south towards Niantic and the home of a co-worker who is hostessing this year's Dispatch/Scheduling Christmas Get-Together. We started doing the get-togethers several years ago and normally hold them at my house but due to the limited parking, small size, and hills that one has to surmount to get to my house, we're changing locales this year. Which is okay by me as that means I don't have to clean the house ... or overly clean the house which is what I tend to do when company is coming over. My supervisor, Matt, is generally in charge of the food as he works part-time for a catering company and brings us such delicacies as macaroni & cheese with lobster, marinated flank steak, several types of bruschetta, and the like. The rest of us bring dessert and beverages and a fine time is had by all outside of the confines and stress of the dispatch center. Trust me - this is something that we all need at least once a year and I'm really looking forward to Friday night's gathering. A Southern California Highway Patrol Officer was killed in the line of duty in the early morning hours on Monday, December 15th. Officer Joseph Sanders, 29, died when he was struck by a motor vehicle while attending to another traffic accident on the Pomona Freeway in Hacienda Heights. The incident occurred at approximately 4:20 a.m. on a rain-soaked highway when two vehicles collided and one of them hit Officer Sanders as he set flares to direct traffic around an unrelated accident. Officer Sanders was taken to County-USC Medical Center, where he was pronounced dead at 5:25 a.m.
Gov. Arnold Schwarzenegger's office announced Monday that flags will be flown at half-staff at the Capitol. "Maria and I were deeply saddened to learn of the passing of Officer Joseph Sanders, who dedicated his life to ensuring public safety," Schwarzenegger said in a written statement. "California is a better place because of his service and his sacrifice will not be forgotten. On behalf of all Californians, we send our thoughts and prayers to Joseph's family, friends and fellow officers." "These losses are tragic and we feel them deeply," said Capt. Dan Minor, who heads the Santa Fe Springs CHP office. "The members of my squad are very distraught. They lost a brother officer this morning." Officer Sanders, a Marine Corps vet who had fought in Fallujah, Iraq, was a 14-month veteran of the California Highway Patrol serving out of the Santa Fe Springs Office. He is survived by his wife and three sons, ages 7, 3 and 10 months. His wife is pregnant with their fourth child. Officer Sanders is the first CHP officer killed this year. He's also the 214th CHP officer to die in the line of duty since 1929. This past Friday a lot of people got to see the biggest full moon that was going to appear in the sky until 2018 ... I didn't. Well, I mean, I did but not until I got out of work at 11:00 and by that time it was so high in the sky that trying to take a picture of it would have been totally futile unless I had some amazingly huge telephoto lens ... which I don't. I hear it was quite the sight to see and I'm really sorry that I missed it though I've seen some very nice pictures on other people's blogs who were not only fortunate enough to see the moon but also to take some pictures of it. Moon photography - as I'm learning - is really quite tricky, though and even if I had been able to try to capture some pictures, I have a sneaky feeling that they wouldn't have come out right. Or at least not as "right" as I would have liked them to. The picture that I've chosen for Roger's Creative Photography Meme this week is one that I took on Sunday morning whilst on my way into work. It was about 6:30 in the morning but the moon was still very bright in the sky and I decided to at least try to take a quick picture of it from the driver's seat of the car (I was pulled over at the time!). The tree branches aren't exactly what you would call sharp but I kind of like the fuzzy look, it makes it look more three-dimensional to me - well, either that or my aging eyes just make everything look that way! Don't forget to check out the Creative Photography blog if you'd like to see some more great pictures or if you've got one you'd like to enter yourself! Ever have one of those days when your head feels like it's about the size of a Buick or at least a small Chevy? Yep ... it's been one of those for me though certainly not as bad as last night when I finally got home from my longer than usual 16-hour shift at work yesterday. I had that all-over tired achy feeling, a bit of a fever, and a head that felt like it was at least three times it's normal size and stuffed with cotton. When I updated my status on Twitter last night with "Feeling like I am coming down with a cold and as my grandmother would say "not feeling a bit good"", Amanda immediately direct messaged me back with "Feeling like Death eating a cracker?". Oh heck yeah! A couple of crackers actually! Maybe even an entire box of saltines! Thankfully I felt a bit more normal today as I had a day off and a few plans, one of which included my monthly get-together with my friend Rhonda at a local eatery for lunch. Granted, I didn't really feel like eating much of anything (which is probably a good thing considering I could do with eating a lot less!) but we were planning on exchanging Christmas gifts today as well as doing the monthly catch-up on our lives. Besides, I hate to mess up other people's plans so I was glad when I woke up feeling marginally better this morning. Granted, I still seem to have the "big head" and when I cough I sound like second cousin to a seal but the overall aches and pains have subsided and I can function - sort of! All in all, this probably would have been a good day to sit around and drink a lot of tea ... lots and lots of tea! 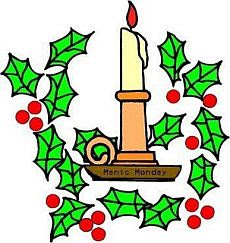 In keeping with the holiday season, the word of the week at Morgen's Manic Monday Meme is 'candle' and there is probably a lot I could write about candles being that I love the glow of softly burning candles as well as some of the fantastic scents that places like Yankee Candle can come up with. Vanilla is always a major favorite as are a lot of the Christmas scents that they put out this time of the year. My cousin Amy tells me that the "Christmas Wreath" ones smell just like a fresh-cut Christmas tree and transports her right back to 1974 when she was just a kid and Christmas still held all of its magic and wonder. Funny how scents can do that to us, isn't it? I gotta get me one of those! As many wondrous Christmas lights as there are out there, nothing catches my eye more than a house that has a single candle in every window. To me, that just says Christmas, especially here in New England where old-fashioned houses abound. This particular house is located on Broadway near the Park Congregational Church that I featured in last week's post; I thought it looked just absolutely beautiful so naturally had to take a picture! Be sure to check out the other 'candle' posts at the Manic Monday Meme and may you have a glowing day! An 11-year veteran of the Houston Police Department was shot and killed during a foot pursuit on Sunday, December 7th. Police Officer Timothy Abernethy had initiated a routine traffic stop at approximately 8:30 a.m. on a suspect that turned out to be a prison parolee who is considered to be a 'career criminal'. The suspect jumped from the car and ran through an apartment complex in northwest Houston with Officer Abernethy in pursuit. 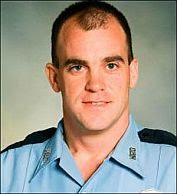 According to prosecutors, the suspect shot Officer Abernethy three times as he rounded a corner knocking him to the ground before walking over and shooting him in the head at point-blank range; following that he calming walked to his SUV and drove away.Officer Abernethy was transported to Memorial Hermann Hospital where he succumbed to his wounds. The suspect in the shooting was arrested at a northwest Harris County home and has confessed to the killing though he gave no explanation. "Too many times I've had to go and advise a family and members of an organization of an officer's death." Police Chief Harold Hurtt said. "Believe me; it does not get any easier." "I tell you, everybody's pretty devastated," said Gary Blankinship, president of the Houston Police Officers' Union. "This guy is probably one of the most honest and conscientious people I've ever known. He was just beyond reproach." Officer Abernethy - who had served on the Houston Police Dive Team and Bike Patrol - was preparing to become a member of the Bomb Squad when his life was cut short while working an extra shift to help combat the high crime rate in the area where the traffic stop was made. The 43-year old Navy veteran is survived by his wife, Stephanie, and two adult children including a son who is currently serving in the Navy. In Tennessee, a Sumner County Sheriff's deputy was killed in a car accident early on Monday morning, December 8th. Deputy Sheriff Brian Denning, a member of the 18th Judicial District Drug Task Force, was returning to the office following a call at approximately 12:51 a.m. when his patrol car left the roadway, struck a tree, and caught on fire trapping him inside. Passing motorists attempted to assist Deputy Denning but couldn't get him out of the vehicle, according to Sheriff Bob Barker. "He was a fine deputy as well as a person," Barker said. "He was very enthusiastic about his career. He did a great job everyday." 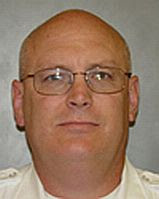 A 12-year veteran of the department, Deputy Denning was well liked amongst his colleagues and the community. He began his career in April 1995 as a corrections officer and most recently served with the task force's interdiction team - which polices drug trafficking - and as a K-9 officer. 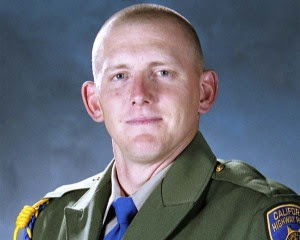 Deputy Denning, 36, is survived by his wife, Barbara Jean, and two stepchildren, Jessica and Whitney. In one of the worst law enforcement tragedies in Oregon history, Senior Trooper William Hakim of the Oregon State Police and Captain Tom Tennant of the Woodburn Police Department, both 51, were killed in a bomb blast on Friday evening, December 12th, at the West Coast Bank in Woodburn, 30 miles south of Portland. The incident began earlier in the day when a bomb threat was made to the Wells Fargo Bank next door to the West Coast Bank. The bank was evacuated at approximately 10:30 a.m. and police found a suspicious object that was determined not to be dangerous. At that time, West Coast asked police to check its bank but police found nothing. Later that afternoon, a bank employee found a suspicious object under a bush and called police again who evacuated the bank at 5:00 p.m.
At some point after officers responded to the scene, the suspicious object was moved inside the bank where police scanned the item with a portable x-ray machine and at 5:24 p.m., upon completion of the scan, the object blew up fatally injuring both Trooper Hakim and Captain Tennant. Woodburn Police Chief Scott Russell was also injured in the blast and remains in stable but critical condition at a Portland Hospital while a female bank employee was treated and released from Salem Hospital. Police said they currently have no suspects and didn't know the motive. Close to 75 investigators from local, state, and two federal agencies are investigating the incident coordinated by the Marion County Sheriff's Office. 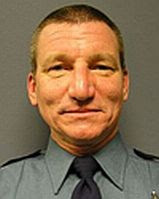 Oregon State Police said that Trooper Hakim, an 11-year veteran of the force, was the 28th trooper to die in the line of duty, and the second detective in the Arson and Explosives Section. A dedicated family man, he is survived by a wife, a 16-year old son and 18-year old daughter. Captain Tennant, a 28-year veteran of the Woodburn Police Department, was described by Woodburn Police Sergeant Jason Tiusty as an active member of the community "who would do anything to help those in need." He is survived by his wife and three children ages 23, 22, and 17.